Can I find my MBOX file from the locations, which are unknown to me? Answer: Yes, the software offers you 'Find' module by which you can easily search your MBOX file location with in selected volume or drive. What are the major difference between SOHO and technical version? Answer: The SOHO version converts Thunderbird, Entourage, Spicebird, Pocomail, AppleMail, Eudora, Mulberry, SeaMonkey, Netscape, ClawsMail, OperaMail, Mozillamail, Evolution, Sylpheed, Cone, Mutt, Gnu Mail clients to MS Outlook supported PST files. Whereas the technical version include six additional saving options, such as Office 365, RTF, PDF & HTML along with all SOHO features. Additionally, the technical version comes with life time validity, where SOHO is available with 1 year life validity. Can I convert a single item of MBOX file to PST? Answer: No, you need to convert your all MBOX file to PST then after that only you can fetch required item. Can I import this converted MBOX file directly into Outlook? 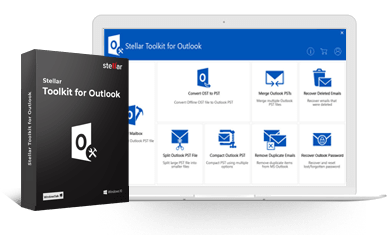 Answer: Yes, this converted MBOX file (PST) can be easily imported into Outlook following some simple steps (These steps are for Outlook 2010). Go to the File tab and select Import. Here select 'Import from another program or file' and click Next button. Select the Outlook Data File (.pst), and click Next button. Click 'Browse' button and select a PST file that you want to import. Now you can select the email item you want to import or you can select the top of the hierarchy to import everything from the PST file.